Scary Spice: Is Big Pharma About To Release Synthetic Cannabis? People can’t grow it but large companies can, then charge outrageous prices for it. What a great business model. It is akin to outlawing breastfeeding while making a profit selling baby formula. A recent test of a synthetic endocannabinoid system stimulant left 6 in the hospital, and one died. Is Big Pharma about to release synthetic cannabinoids? What does this mean for the legal medical marijuana? The human body has a special system developed for maintaining health and balance, called the endogenous cannabinoid system(ECS). It shares this system with many other mammals, including dogs and even pigs. First discovered by scientists studying the effects of cannabis on humans, it has receptors located in key areas throughout the body. While the body produces its own cannabinoids (endocannabinoids) to interact with these receptor sites, science, along with thousands of years of practical human experimentation, have proven that plant-based or phytocannabinoids can also stimulate these receptors. The most famous of these is THC, but others such as CBD, CBN, and CBG, all produced by the cannabis plant, are gaining spotlight for their unique capabilities in healing and restoring balance to the human body. In the decades since their discovery, cannabinoids have been featured in no less that 20,000 medical research articles, many of which can be read by going to PubMed. Even The National Institute on Drug Abuse (NIDA) has hailed cannabis for its abilities to slow, stop, and even destroy cancer and tumors. These benefits have not gone unnoticed by the pharmaceutical industry, who make it their business to treat illnesses for profit. Already, they have spent decades researching the properties of cannabinoids, and patented medicines containing synthetic equivalents of THC and CBD. Why would an industry run for profit spend millions trying to synthesize a naturally occurring compound, when they could easily grow marijuana and harvest it for a fraction of the price? Simple, because then we could too. Big Pharma is one of the largest contributors to anti-marijuana ad campaigns, lobbying efforts, and political buy-offs. It knows that a medicine that can be grown at home competes with their bottom line. If, however, cannabis remains illegal, then making a synthetic version and controlling supply and price is easy. People can’t grow it but large companies can, then charge outrageous prices for it. What a great business model. It is akin to outlawing breastfeeding while making a profit selling baby formula. It doesn’t help that because cannabis helps with so many ailments, people are using it as a substitute for many prescription medications, taking money out of pill-pushing industry coffers. No. The truth is that it is already here. 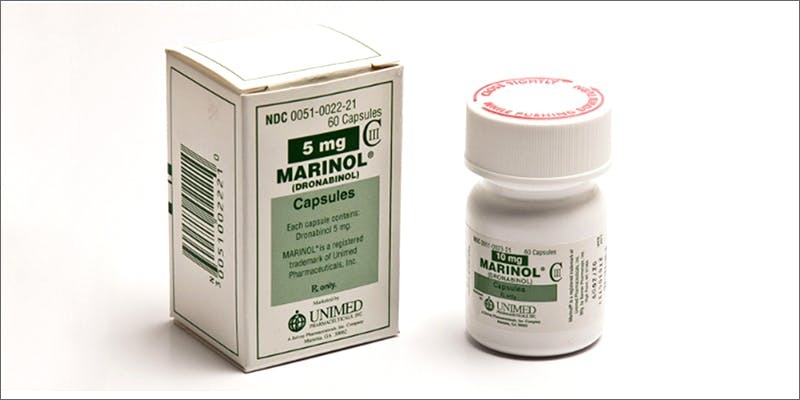 Already, Marinol and Cesamet are two FDA-approved medicines used to help cancer and chemotherapy patients. Even medicines made directly from the plant are trying to make it to shelves in North America. Sativex has been approved for clinical trials, and Epidiolex is expecting FDA approval soon. All of these are based on marijuana. Whether more of these medicines become available is up to the government. If they choose to separate the active compounds of cannabis from the plant itself in regards to Scheduling, then we could see a flood of medicines hit the market, while the plant itself remains illegal to grow, possess, or consume. Cannabis provides the best benefits when used as a whole medicine, because of the complex interaction of various cannabinoids on the body known as the “entourage” effect. Isolating and synthesizing individual compounds is not only less beneficial, but potentially dangerous. Synthetics are not identical, and these little differences have proved fatal. A recent test conducted by Biotrial in France of a medicine created by the Portuguese pharmaceutical company Bial, left six people in the hospital, and one of them died. News outlets sensationalized the headlines that cannabis research was involved, when in fact it was a test of a synthetic ECS stimulant, designed to mimic the effects of cannabis. 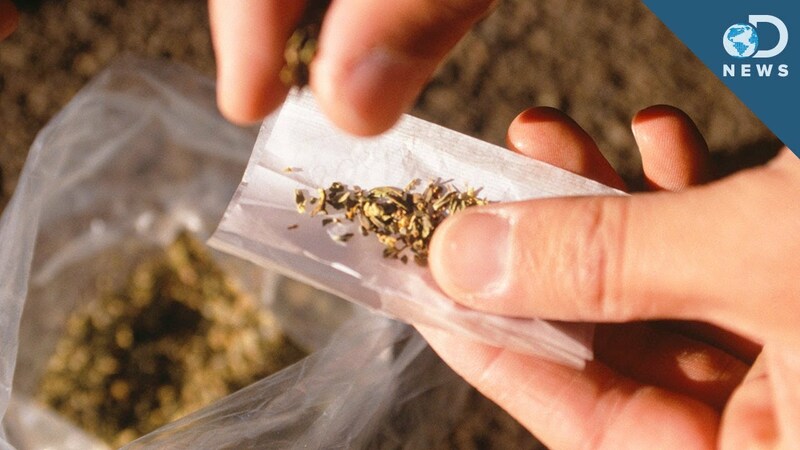 One needs only to look at the deadly craze of “fake weed” or Spice, that has swept the globe, spraying synthetic cannabinoids onto loose plant material, to realize synthetics are dangerous. Yet this fact only strengthens the industry’s premise that individuals are not responsible or knowledgeable enough to medicate themselves. Perhaps the synthetic marijuana craze was birthed with this goal in mind all along? Do you think Big Pharma should be able to control a non-toxic plant to make medicine? If these medicines become fully legal, shouldn’t the plant be freed of persecution? Share your thoughts with us on social media or in the comments section below.